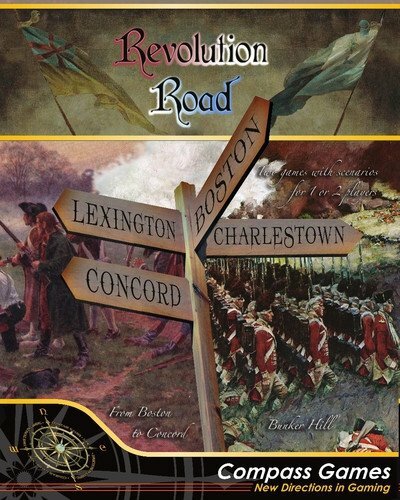 Revolution Road contains two separate games encompassing the two Massachusetts flashpoints that ignited the American Revolutionary War in 1775; the running battle between the Colonists and British regulars in the trek to and from Concord and the epic Battle of Bunker Hill that followed. Not only does this title provide two separate engagements but several scenarios for each as well as high solitaire capability. 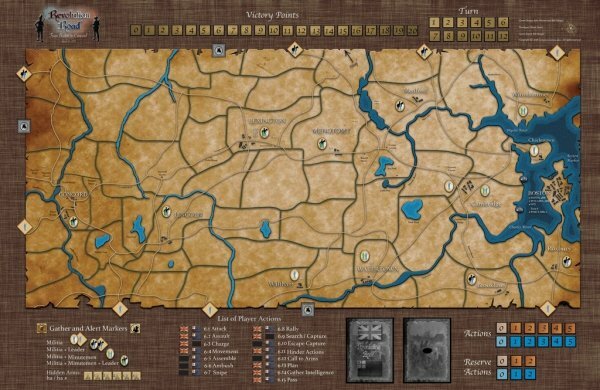 The games provide a simple approach to gaming concepts while providing a goodly dose of historical background – eminently usable as a teaching tool. Revolution Road is played in a series of turns. The actions players perform in each turn follow a specific sequence: reinforcements are placed, the number of actions available for each player is set, players alternate performing actions, and finally the board is prepped for the next turn. 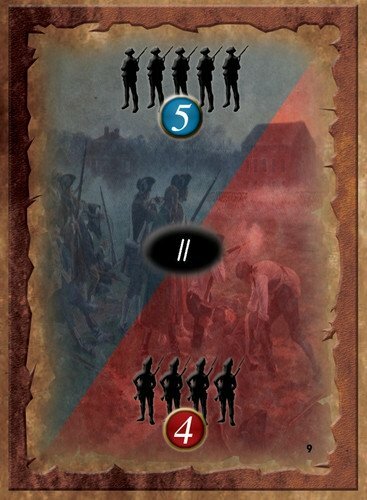 The cards contain information for both the Patriot player and the British player. This helps to simulate the ebb and flow of battle; some cards provide more actions for the Colonists during a turn while others provide more actions for the British. Actions vary from game to game. Some cards indicate random search results. Patriot Units in the game represent: leaders, nightriders, minutemen and militia. 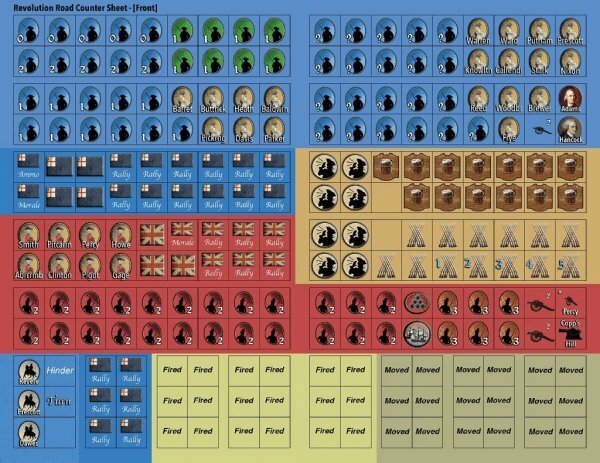 British Units in the game represent: leaders, regulars, marines, artillery and ships. Units are double-sided. The flip side of leaders is “wounded.” The flip side of combat units is “broken.” Militia counters Vary in strength. A separate counter showing a “?” is placed on the counter and removed when the strength is revealed. Markers in the game represent mechanics such as: gathering places, alerted off-board areas, mustering, hidden arms, town fire, and panic. Track markers indicate time, player actions, morale and ammunition depletion. Revolution Road offers a number of unique mechanics. Nightriders stand out the most. These units represent the brave men like Paul Revere and others who warned the countryside of the advancing regulars. 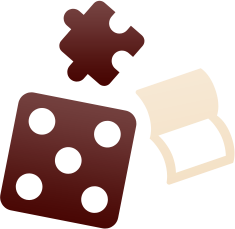 Their action brings about alerting and mustering of troops – minutemen and militia. Minutemen are relatively weak but stable and more mobile. Militia strength varies and sometimes hesitates in battle. As the American player organizes resistance the British Player searches for hidden arms and is sometimes rewarded for his effort. 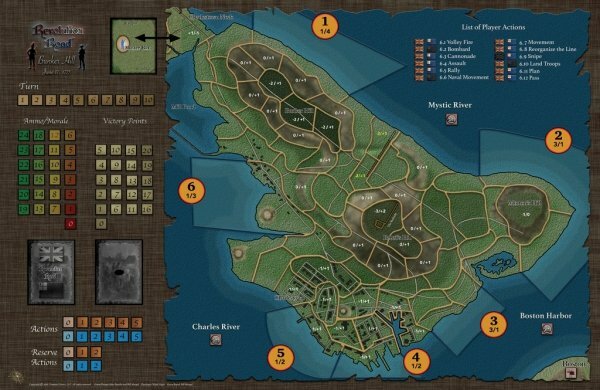 In Bunker Hill we offer players the option of alternate landing zones, shore bombardment, the torching of Charlestown, and the dangerous trek across Charlestown Neck. These two battles present two entirely different tactical conflicts. In Boston to Concord players range far and wide performing a variety of actions while engaging in minor skirmishes and only occasionally pitched battle. Bunker Hill is nothing but one long and bloody pitched battle with American reinforcements trickling in every turn as the English juggernaut bears down on their objectives. The actions that are available to players are varied by game which allow for the tactical differences of the two conflicts while maintaining a central game structure for both games.